Hello everyone, I hope you all are enjoying the long weekend. I know I am. 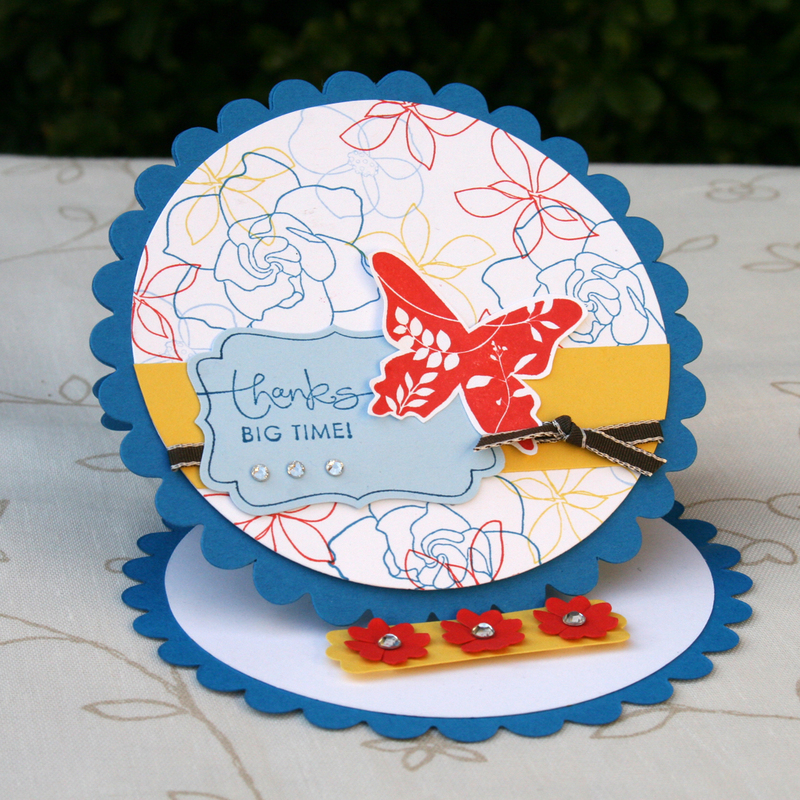 Today’s project is another easel card, but this time it is made using the Scallop Circle Die. You can find a detailed tutorial on how to make several different types of easel cards by joining the Oh My Word Event put on my UStamp with Dawn and friends. Click on the side banner below for more details. Oooohhhhh, I like this one. Very spiffy! I just love this easel card you have created! The colours are gorgeous as is the design!! I found your blog on SCS, so happy I did! Your work is amazing!